A bestselling, masterful novel about the intersections in the lives of three friends, now on the cusp of their thirties, making their way—and not—in New York City. There is beautiful, sophisticated Marina Thwaite—an “It” girl finishing her first book; the daughter of Murray Thwaite, celebrated intellectual and journalist—and her two closest friends from Brown, Danielle, a quietly appealing television producer, and Julius, a cash-strapped freelance critic. The delicious complications that arise among them become dangerous when Murray’s nephew, Frederick “Bootie” Tubb, an idealistic college dropout determined to make his mark, comes to town. As the skies darken, it is Bootie’s unexpected decisions—and their stunning, heartbreaking outcome—that will change each of their lives forever. 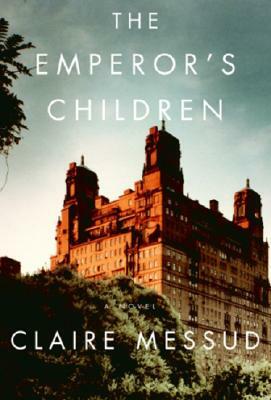 A richly drawn, brilliantly observed novel of fate and fortune—of innocence and experience, seduction and self-invention; of ambition, including literary ambition; of glamour, disaster, and promise—The Emperor’s Children is a tour de force that brings to life a city, a generation, and the way we live in this moment. Claire Messud was educated at Cambridge and Yale. Her first novel, When the World Was Steady, and her most recent book, The Hunters, were both finalists for the PEN/Faulkner Award; her second novel, The Last Life, was a Publishers Weekly Best Book of the Year and Editor's Choice at The Village Voice. All three of her books were New York Times Notable Books of the Year. She has been awarded a Guggenheim Fellowship and a Radcliffe Fellowship, and is the current recipient of the Straus Living Award from the American Academy of Arts and Letters. She lives in Somerville, Massachusetts, with her husband and children.